The rap star Snoop Dogg is promoting a new alcoholic drink, which is expected to be very controversial. Not so long ago, an alcoholic drink (Four Loko) with crazy effects on the body was banned from sale. Now, a similar fruit flavored alcoholic drink having the same effects is going to be promoted by Snoop Dogg. It’s called Blast by Colt 45, is produced by Pabst Brewing Company and is going to be released on April 5. 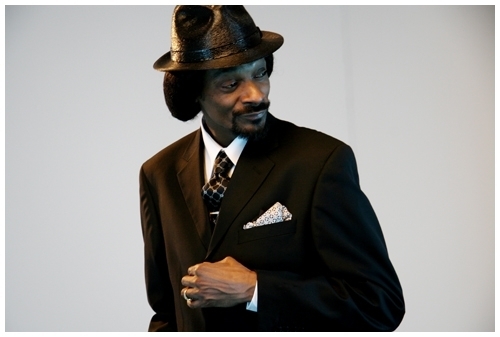 A video that promotes the drink, features Snoop Dogg posing with young women without many clothes on them, in a photo shoot. Promoting campaign of this drink seems to be encouraging young drinkers. New York City Councilman Robert Jackson already called for Blast to be banned in New York stores. “Blast, along with similar drinks, is specifically targeted to younger people.” he said. WHY THE HELL SHOULD SNOOP DOG – ENDORSE MORE – AND HIGHER ALCOHOL CONTENT IN THIS DRINK????? WAKE UP – AAA ALREADY HAS MILLIONS OF ALCOHOLICS! STOP THROWING THIS AT YOUNG ADULTS…..THEY DONT NEED MORE BOOZE – A DRINK WITH TWICE THE ALCOHOL CONTENT. THE COMPANY SHOULD BE FINED – FOR MARKETING THIS HIIGH CONTENT DRINK – TO YOUNG ADULTS……WITH TEENS WANTING IT !!!!!! STOP THE DRUNK ERA – WE NEED TO SOBER UP!!!! There is no caffeine in this drink and the alcohol content is WAY lower than a bottle of liquor. Young adult should be old enough to buy the product in the first place….quit blaming the product and put the blame where it belongs.